A trio of adventurous Spanish improvisers, pianist Irene Aranda, bassist Johannes Nästesjö and percussionist Núria Andorrà channel forces of exploration, energy and elemental mystery on Inner Core, six inventive tracks that plumb their astonishing creative depths with a fervid curiosity. Fans of free improvisation may recognize these musicians through their mutual connections with pianist Agustí Fernández, currently one of the most highly-regarded performers in this genre. And like Fernández, Aranda has a penchant for delving into the insides of the piano as a crucial aspect of her craft. If her work on Inner Core is any indication, she has boundless reserves of imagination when it comes to envisioning the piano not so much as an instrument to be played as a deep reservoir of sound and physical power. All the track titles point to the distinctive character of the music on display, such as the opener, "Planck Mass," an homage of sorts to Max Planck, the pathbreaking German physicist whose research into subatomic energy won him a Nobel prize. At over sixteen minutes in length it's a lengthy exploration, with an initial burst of free-jazz fury soon giving way to less obvious pleasures, first as Aranda's barely-contained fusillades attack the bass register of the piano, then as all three musicians begin to recede into less tuneful territory, in an intrepid venture into the unknown. Aranda's investigations of the interior of the piano muster an unsettling effect, while Nästesjö and Andorrà move similarly into abstraction and atonality to sketch a world that is filled with wondrous energy resisting easy categorizationmuch like the work of the track's dedicatee. It's noise, yesbut it's a captivating noise, with an infectious spirit of discovery animating it. The same impulse colors the rest of the album, as pieces like "Nucleation" and "Inner Core" announce their purposes obliquely, with gestures of sound from Nästesjö's frenetic striking and bowing of the bass to Andorrà's panoply of percussive effects merging perfectly with Aranda's relentless interrogations. For music that generally lacks a clear pulse, the trio's work here nonetheless possesses an unmistakable propulsive force, with the sheer physicality of the music more than enough to push it forward and give it a sense of shapealbeit a rather amorphous one. Listeners with a willingness to suspend preconceptions and follow these musicians into this strange and enigmatic realm should enjoy the results immensely. Track Listing: Planck Mass; Incoming Matter; Nucleation; Inner Core; Allotropism; Zeldovich Factor. 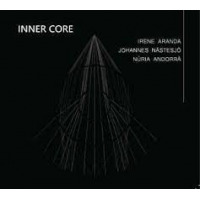 Personnel: Irene Aranda: piano; Johannes Nästesjö: double bass; Núria Andorrà: percussion.